Because the project manager wants to get on with a project, the last two sections of a project plan tend to be the risks and the assumptions. These sections are often started from a previous project plan, and adjusted for the current project. It’s my experience that in a small business project plan, very little thought is given to risks and assumptions. Customer: My team has started to review the new system. We couldn't find the yield management module. What is the status of it? Project Manager: Yield management is out of scope. Customer: You've got to be kidding! The system is useless to me without yield management. Project Manager: But, it wasn't in the requirements and you approved the requirements. Iassumed that you knew it was out of scope. Customer: Yes, but I assumed yield management was included. It's so important to our business. In this scenario, the project manager may indeed be in the right. But this is a situation where being correct is not much of a consolation. Here, everyone has lost. In small business projects, important assumptions need to be stated, and be to very clear. 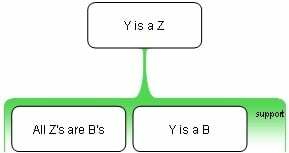 Project assumptions consist of external project dependencies as well as scope related clarifications. Regarding scope, you can include the important out of scope items either in your Project Scope section or in the Assumptions section. The location doesn't really matter, as long as your assumptions are clearly stated in the project plan. A cautious project manager may not want to call attention to assumptions; for fear that the project will not go forward. But hiding assumptions is a mistake, not being forthright will often land you in the scenario described above. For the assumptions section of your project plan, try to put yourself in the shoes of your customer. What things might they expect that are not included? Make sure to write down these expectations. I would also recommend assembling the project team, just like for developing the risks, and going through an exercise of developing assumptions. This will not take a lot of anyone's time, and will ultimately achieve a better result. What items might my customer assume are in scope, and which items are out of scope? How much time is required from each team member? Time estimates should include quality assurance, training and for support. How hands on do I expect the customer to be? How much time will be devoted to customer support? What external vendors are required? What additional funding will be needed for vendors? What is our internal budget availability? Are there technology dependencies that involve assumptions? For example, is a new release of underlying software needed that includes a new feature? Once the project is implemented, how much effort is required for support? Who will do provide the necessary support? Finally, Occam's Razor is a good principal to follow in developing assumptions. Generally, Occam's razor advises that the right solution is often the simplest. More formally, the principle states that one should not make more assumptions than the minimum needed. That is, make sure that the important assumptions are stated clearly, and are not buried in a bunch of unimportant assumptions. Small business project managers will do well if they keep Occam's Razor in mind.